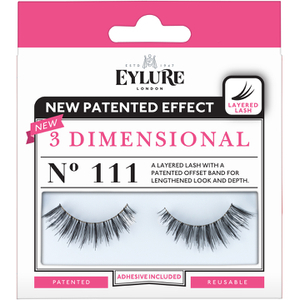 Eylure's Dramatic No.201 Lashes have been designed with a full, sleek, double layered design. Lightweight and reusable, the feather-light false lashes apply effortlessly and have an angled kick to the outer corner to create the illusion of bigger eyes. Uniquely curved for a seamless fit on the eye. Easy to apply and comfortable wear.